The day after I finished my bunting I was tidying up and found one lonesome little lavender heart stuck to the inside of the basket I had been holding them in as I joined. 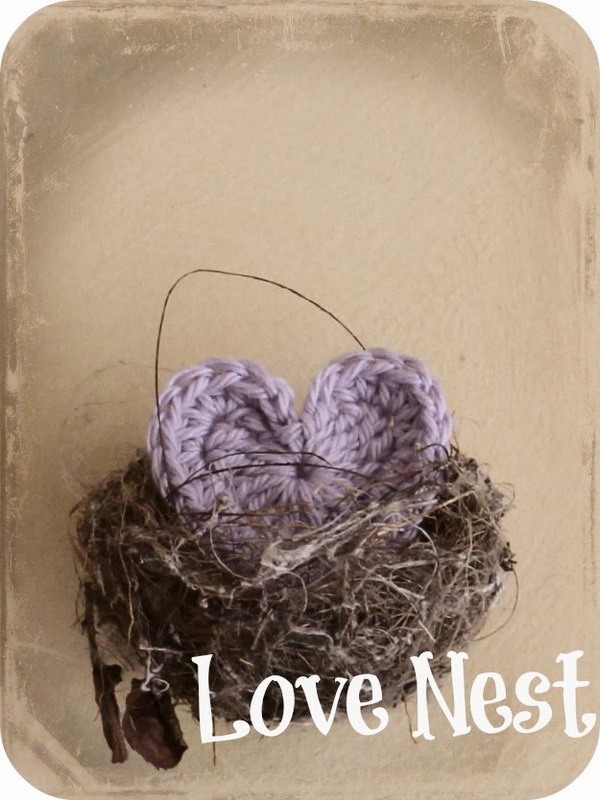 I wanted to display it somewhere too and found a perfect home for it in our entry way nestled inside a soft little silver eyes nest on the wall. As I admired it this morning That I realised what I had created. Ha ha, so cute Tammy!